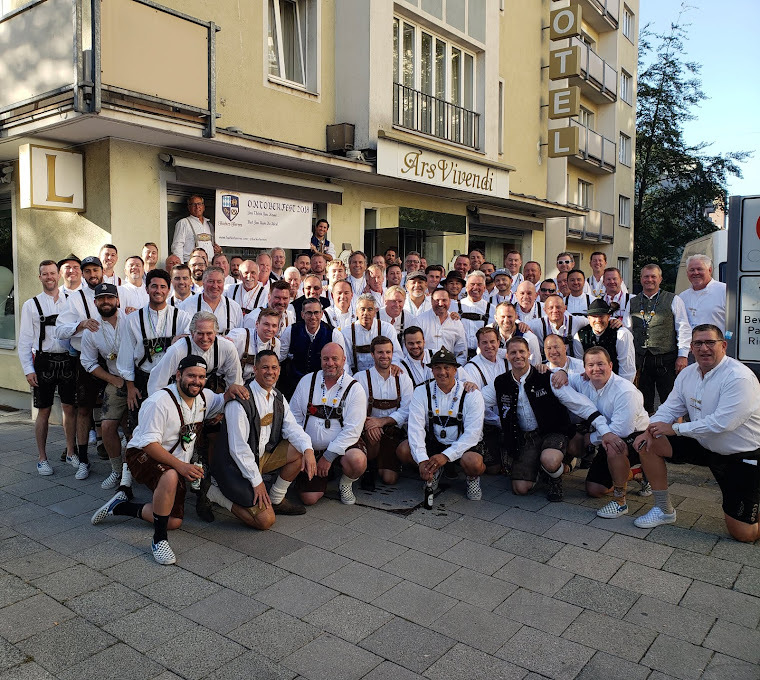 55 guys from around the USA (and England) descended upon the Hacker Festzelt for three days of fun, brotherhood, and prosting on Sept 22-24, 2016. The highlight has to be the video below where Vedo chugged 3 masses. Was there any doubt that he would win the HAM award? Bad Monkey personalized it with a Navy Seal patch that is extremely prized and revered. It was a touching ceremony that demonstrated the brotherhood that has developed within the Hacker Herren group. Congrats to Vedo on his award on his 10th year in a row at Oktoberfest with group. The ROY16 was won by a member of the Midwest Mafia, Mark Leemaster. Leemo hails from the Midwest Mafia and they were proud to have one of their own take the hat back to Chicago. Leemo espoused the spirit of friendship and camaraderie throughout his 3 days in Bavarian Heaven. He is very proud to be the caretaker of the ROY hat for the upcoming year. We look forward to watching him wear it with pride. Congrats LEEMO. Rico and his staff at the Ars Vivendi did another great job making us feel welcome again. The servers welcomed us with brotherly love when we were with them. Welcome to the team, Phil and Louis. The upstairs team on Saturday night of Anke, Tom, and Simon also continue to take great care of the Hacker Herren. The GM of the tent, Christoph continues to make us feel very welcome inside the tent. We missed Abdul at the door managing security and Christian "Da Man" Bullert wasn't able to join us, but we still managed to have a great year. The crowds were a bit down this year due likely to security concerns, but we didn't feel at risk throughout our stay. Security was in force around the perimeter and ensured everyone was safe throughout. Thank you to all the guys of the Hacker Herren 2016 for making it another memorable year. Prost!! Until 2017..